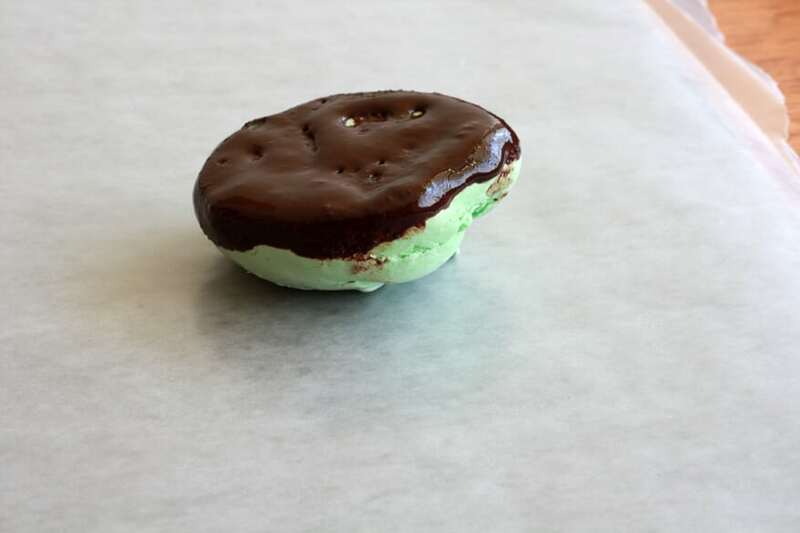 With St. Patrick’s Day approaching, I wanted to develop a treat for you to enjoy. 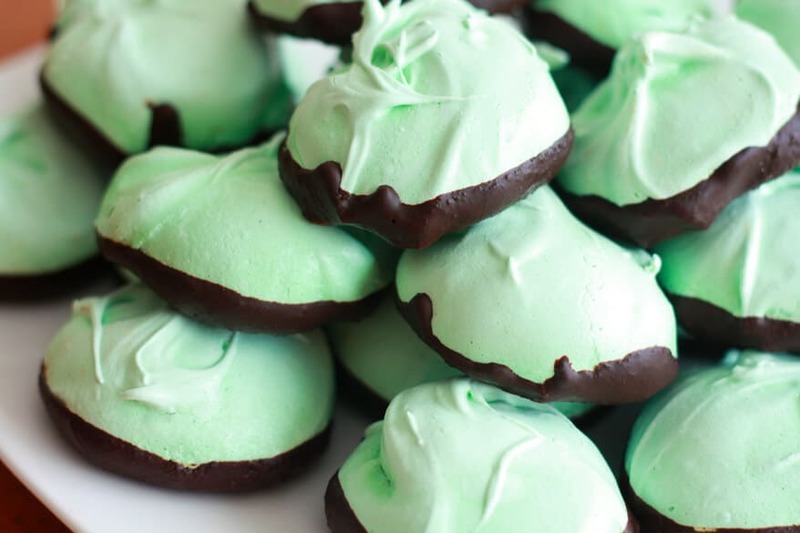 Here is something original, delicious, decadent, and gorgeous – St. Patty’s Mint Chocolate Meringues! As with many of my other creations, these meringues were developed out of the need to use up some ingredients I had on hand. I had four egg whites left over from another dish I made. I was also thinking about the fact that I wanted to come up with something original for St. Patrick’s Day. And so I got to thinking…egg whites…St. 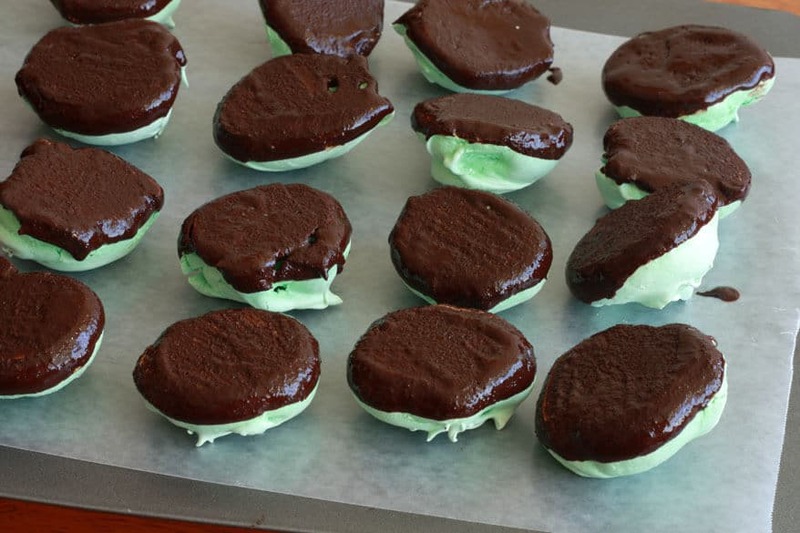 Patrick’s Day…green…mint…chocolate…voila! 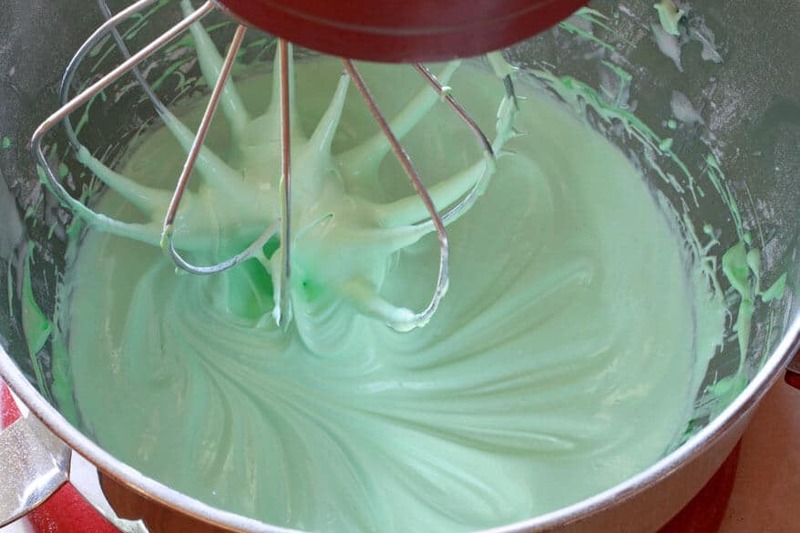 St. Patty’s Mint Chocolate Meringues were born. These mint chocolate meringue jewels are crispy on the outside and light and fluffy on the inside. 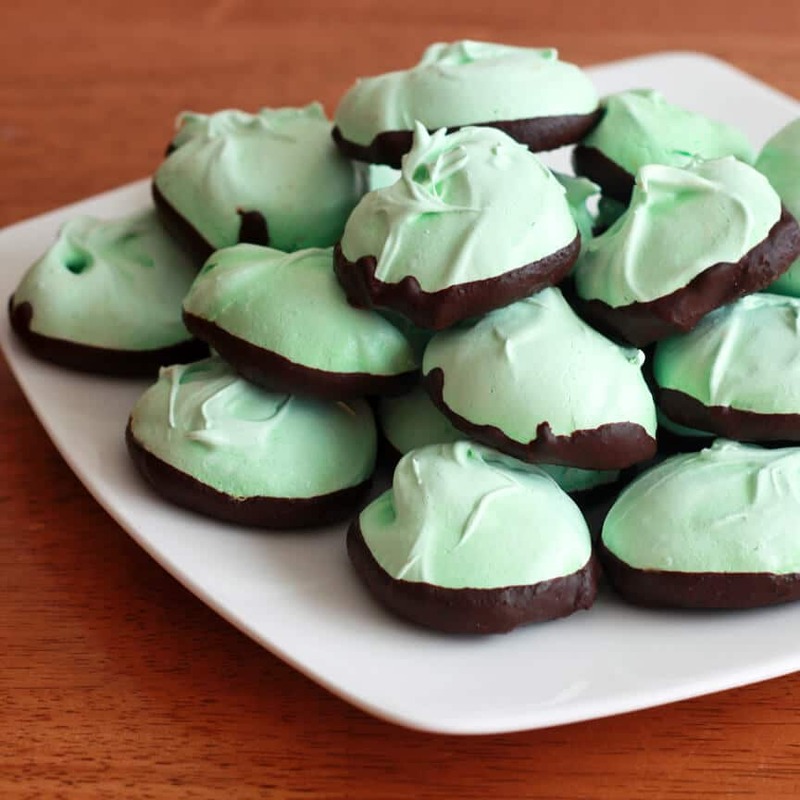 Bring these to a St. Patrick’s Day party, to work, or make them to share with your family and friends. Be prepared to wow the crowd with these gorgeous, delicate and decadent little jewels. Don’t be intimidated by their upscale appearance, these meringue treats are not difficult to make. As usual, I’ve provided pictured instructions so you can see what everything is supposed to look like. Prep time is less than 10 minutes and other than dipping the meringues in chocolate at the end, the oven does the rest! Crack the whites of 4 large eggs into a small bowl. 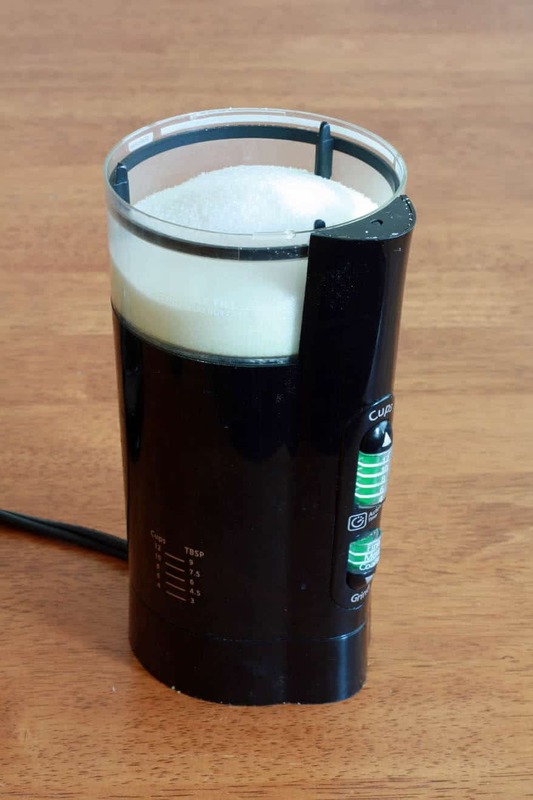 If you don’t have caster sugar (super fine sugar), place regular granulated sugar in a coffee or spice grinder and grind for a couple of minutes until fine. 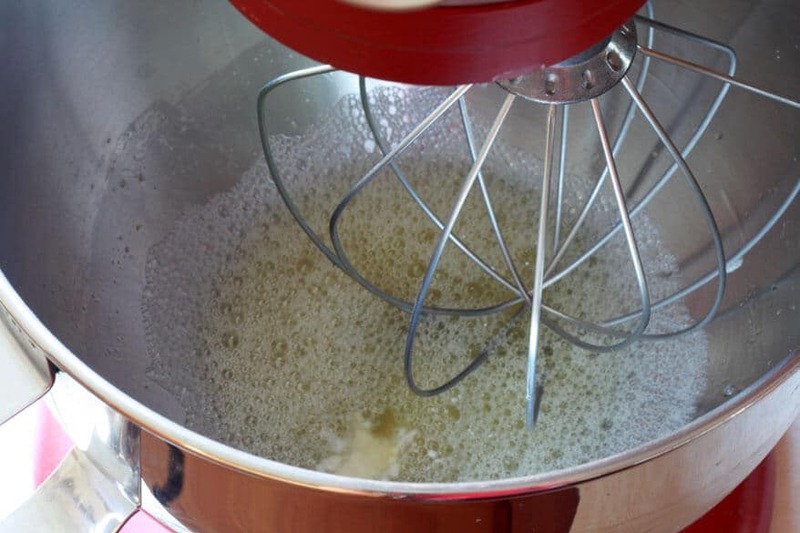 Place the egg whites in the bowl of a stand mixer with the whisk attached. Absolutely make sure the bowl is totally dry with no trace of grease. 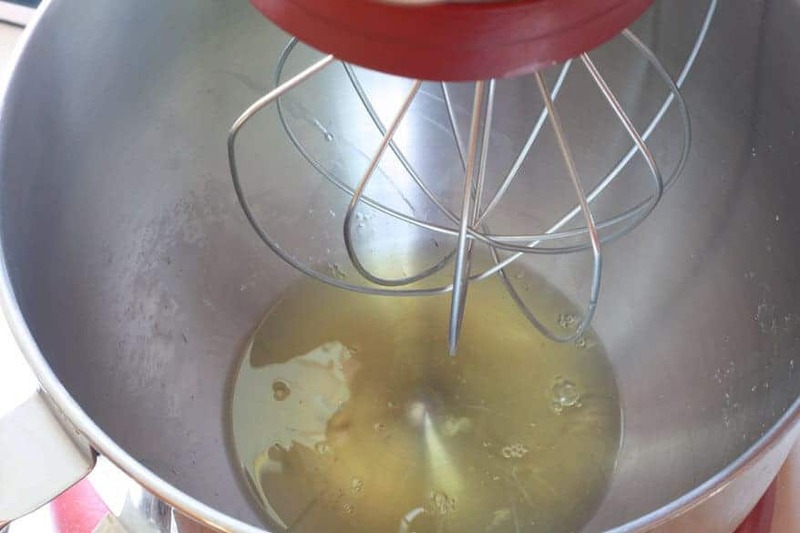 Even a smidgen of grease will keep the egg whites from stiffening. Beat on medium speed just until foamy and add the cream of tartar. 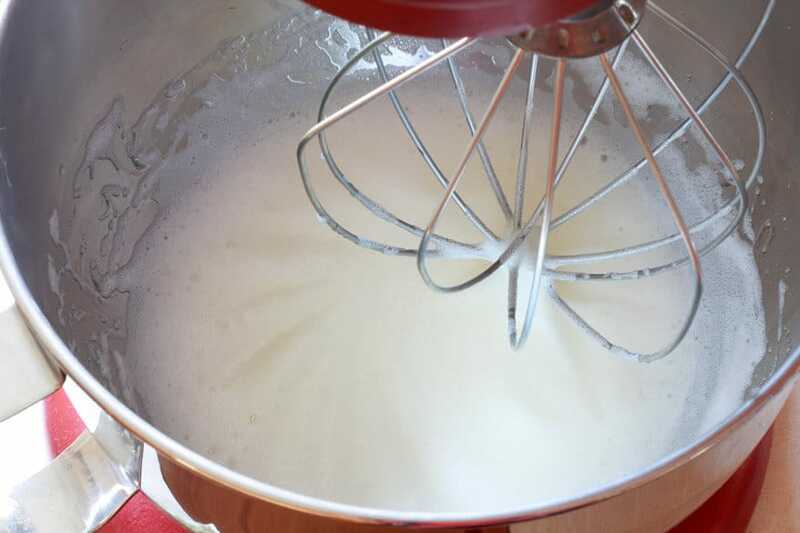 Cream of tartar helps stabilize the egg whites so that they will firm up nicely and retain their shape. 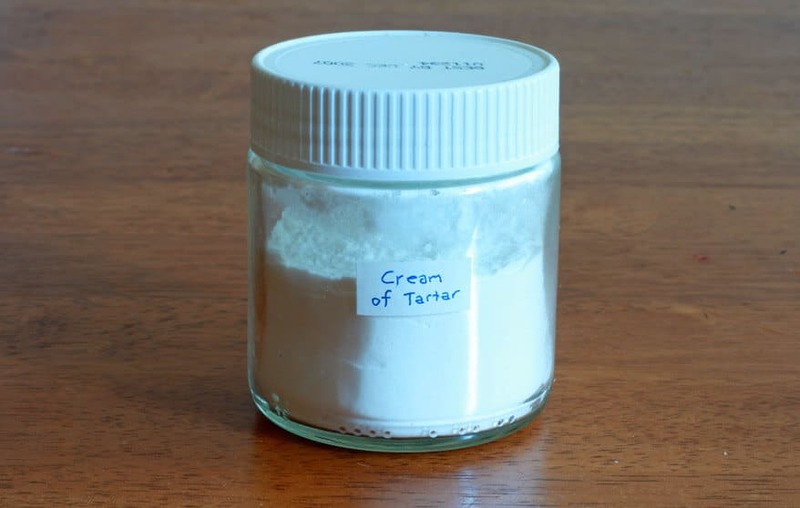 After adding the cream of tartar, increase the speed to medium-high and beat until soft peaks form. While still beating, gradually add the sugar in a steady stream. Scrape down the sides to get all of the sugar incorporated. Continue to beat until stiff peaks form. 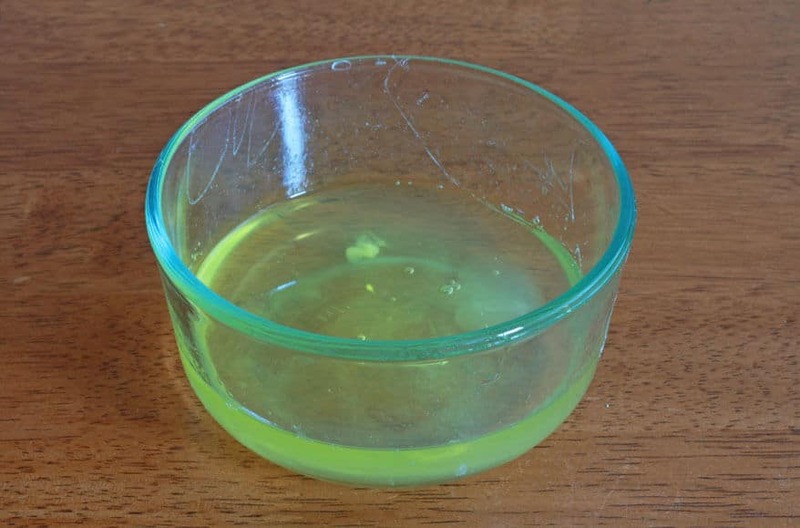 The mixture will develop a beautiful satiny appearance. 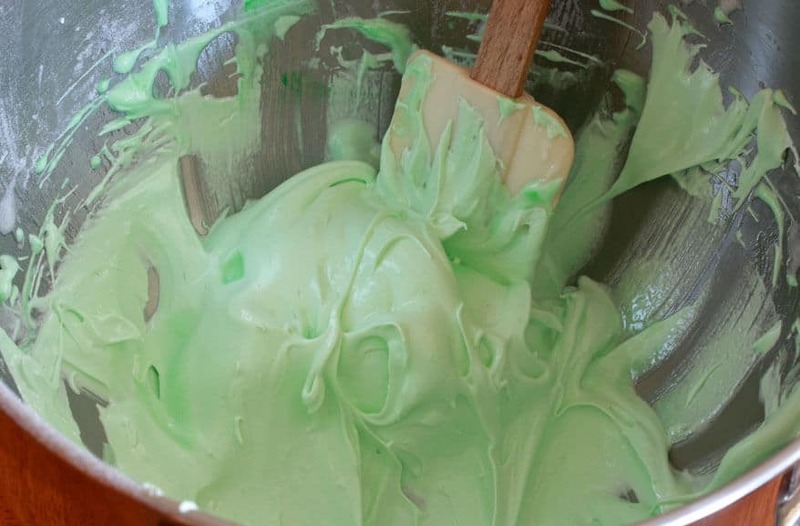 Add the green food coloring, vanilla extract and mint extract. Add however many drops you want until the desired shade of green is reached. Beat just until the color is incorporated. Use a rubber spatula or a large spoon to scoop out the meringue. 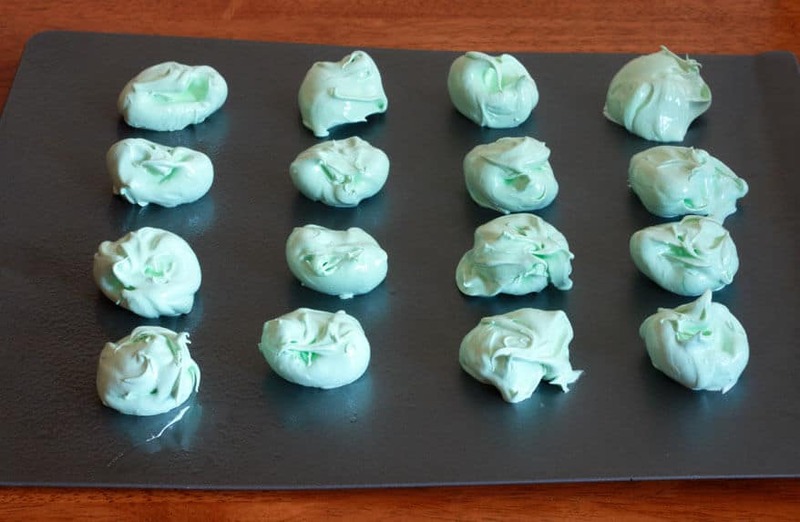 Spoon drops of meringue (about 2 inches in diameter) onto a parchment-lined baking sheet, or a very lightly greased nonstick baking sheet. 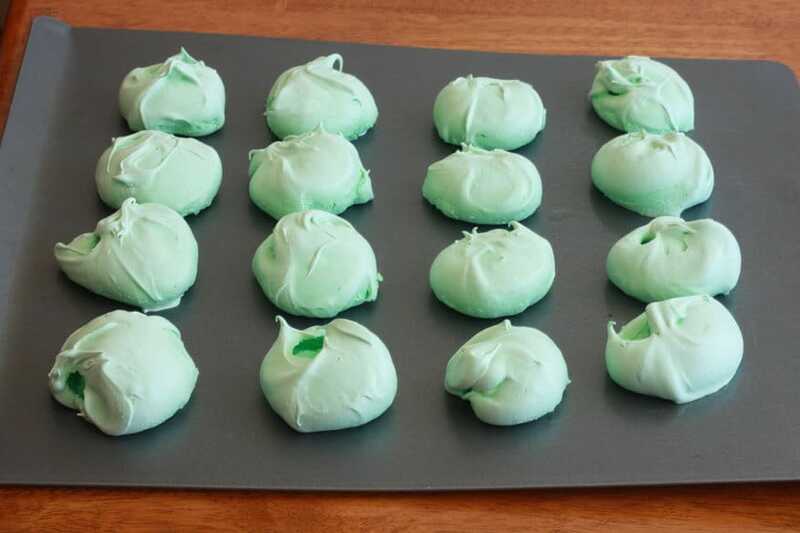 Bake the meringues in the oven preheated to 200F for 1 hour and 15 minutes. Turn off the oven and leave the meringues in the oven to cool completely. Remove the cooled meringues from the oven. 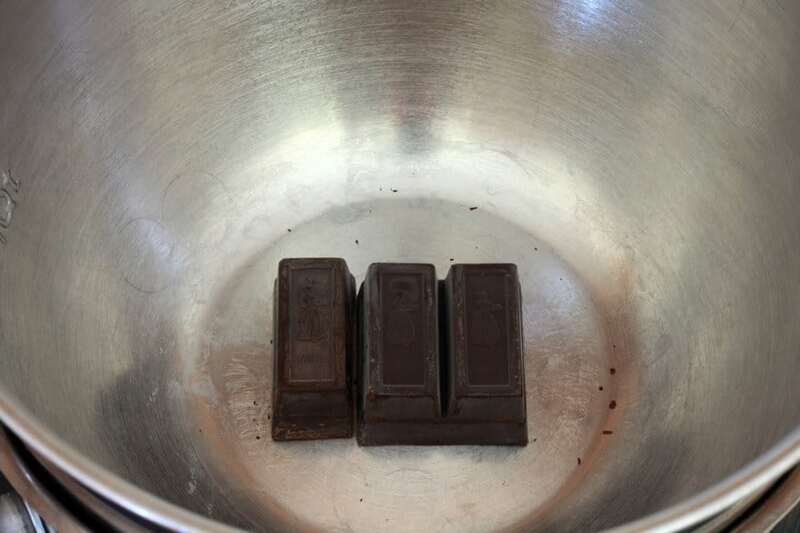 Place a double boiler over boiling water and add the chocolate (I ended up using 4 squares instead of three). Melt completely and keep the chocolate heated in the double boiler while you are dipping the meringues so that it doesn’t harden. Dip the bottoms of the meringues in the chocolate and carefully lay them upside down on wax paper to dry and harden completely. Crispy on the outside and light and chewy on the inside, these delicious, delicate, gorgeous, decadent little jewels will wow the crowd! 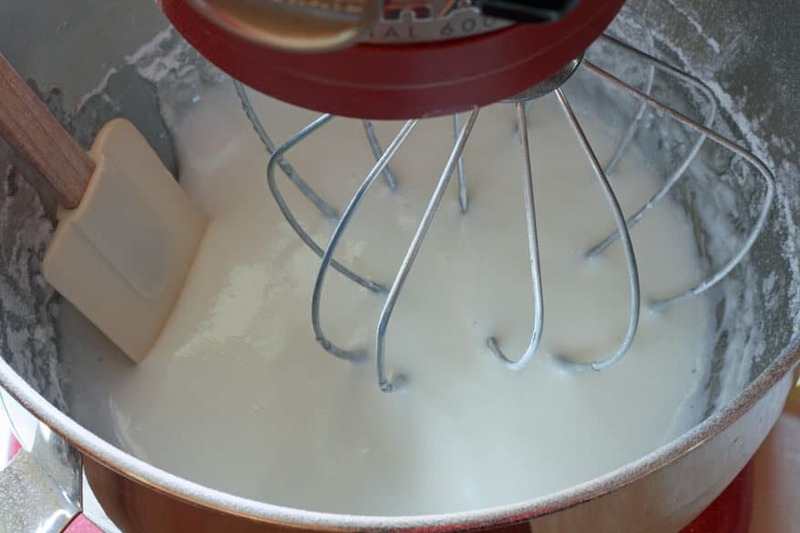 Place the egg whites in the bowl of a stand mixer with the wire whisk attached. Beat on medium speed until foamy, then add the cream of tartar. Increase speed to medium high and and beat until soft peaks appear. 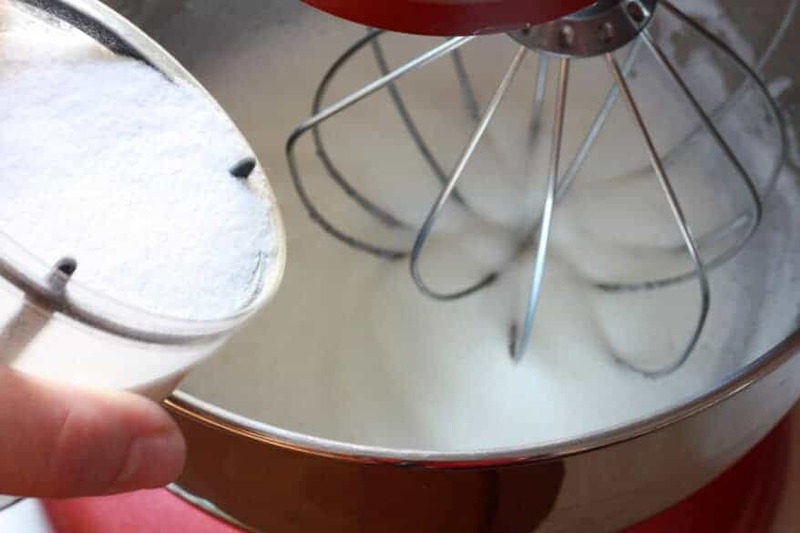 While continuing to beat, add the sugar gradually in a stream. Continue beating until stiff peaks form. 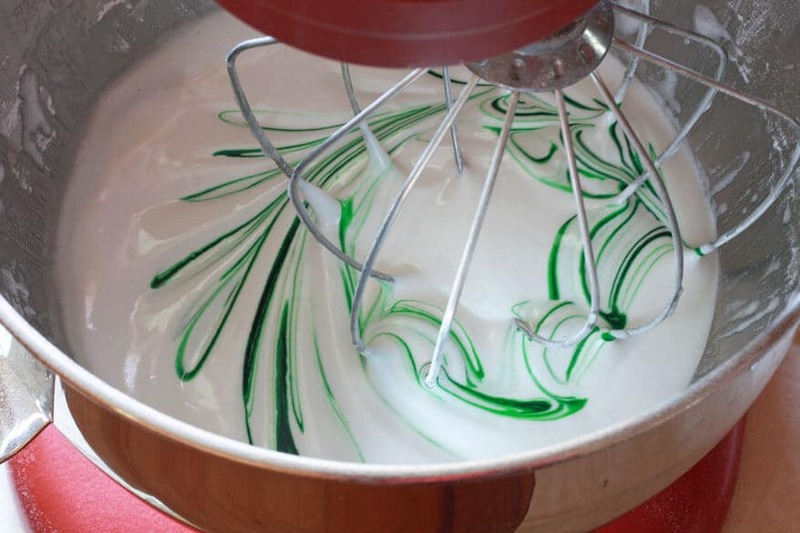 Add the vanilla extract, mint extract and green food coloring and beat just until combined. Drop spoonfuls of the egg mixture (2 inches in diameter) onto either a baking sheet lined with parchment paper, or a very lightly greased nonstick baking sheet. Bake an 1 hour and 15 minutes then turn the oven off, leaving the baking sheet with the meringues in the oven to cool completely. 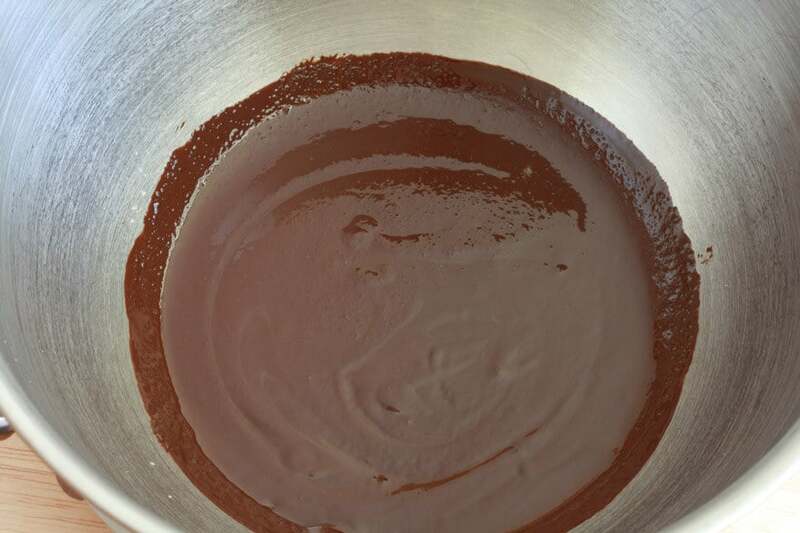 For the dipping chocolate, place the chocolate squares in a double boiler over boiling water and melt completely. Dip the bottoms of the cooled meringues in the chocolate, shaking off the excess, and place the meringues upside down on some waxed paper to dry completely. How much sugar? I don’t see the amount listed. Hi Floreksa, sorry about that oversight. I’ve added it to the recipe.